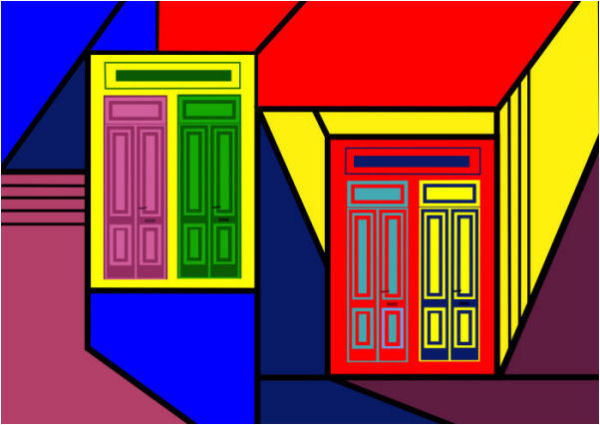 AsbjornLonvig's words: Caminitois a small street in La Boca, a neighbourhood, or barrio of theArgentine capital, Buenos Aires. 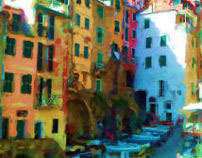 It retains a strong European flavour,with many of its early settlers being from the Italian city of Genoa. Duringthe1800s, a small stream flowing into the Riachuelo River ranalong the same route where the Caminito is now found. Laterthatcentury, this area of the stream became known as the Puntin,the Genoese diminutive term for bridge (a small bridge allowed peopleto cross the stream here). Whenthe streamdried up, tracks for the Ferrocarril Buenos Aires yPuerto de la Ensenada were installed at the site, and disused tracksremains at the end of Caminito, along Garibaldi Street. In1954 therail line was closed and the area where Caminito now isbecame a landfill and the neighbourhood's worst eyesore. Overthefollowing three years, Argentine artist Benito QuinquelaMartín, an abandoned orphan who was adopted by a Genoeseimmigrantcouple in La Boca, painstakingly prepared the walls facing theabandoned street, applying pastel colors and, by 1960, having a stageput up at the southern end; the wooden-plank stage was replaced with anearby theatre house in 1972. The artist was a personal friend ofArgentine tango composer Juan de Dios Filiberto, who created awell-known 1926 tune by the same name. Asbjorn Lonvig's art work created due to the 10 IT-Dogmas for reaching the ultimate goal: "THE WORLD'S BEST in FINE ART...NOTHING LESS". AsbjornLonvig's words: The most astonishing about The Centre nationald'art et de culture Georges Pompidou is the backside architecture. 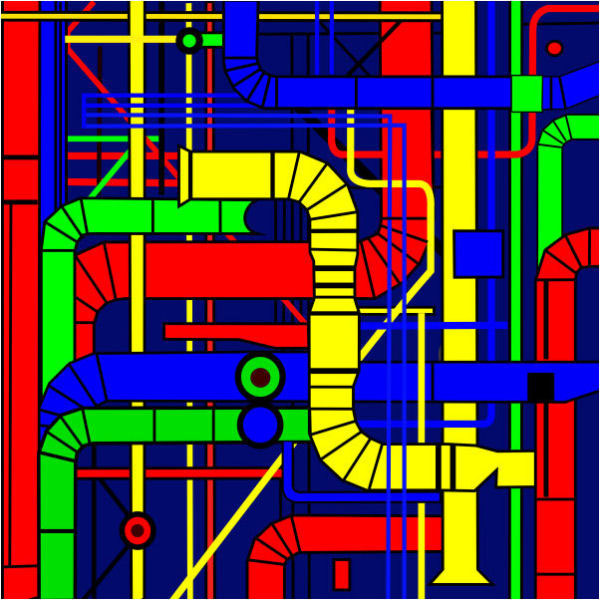 Tubes painted in bright colors. To the right is the original art work. But I want to transform the square art work to the general format. Then I made a Left and a Right version. Wikipedia's words:The Center national d'art et de culture GeorgesPompidou was the brainchild of President Georges Pompidou who wanted tocreate an original cultural institution in the heart of Pariscompletely focused on modern and contemporary creation, where thevisual arts would rub shoulders with theatre, music, cinema, literatureand the spoken word. Housed in the center of Paris in a buildingdesigned by Renzo Piano and Richard Rogers, whose architecturesymbolizes the spirit of the 20th century, the Centre Pompidou firstopened its doors to the public in 1977. After renovation work from 1997to December 1999, it opened to the public again on 1 January 2000, withexpanded museum space and enhanced reception areas. Since then it hasonce again become one of the most visited attractions in France. Some 6million people pass through the Centre Pompidou's doors each year, atotal of over 190 million visitors in its 30 years of existence. 1 x inks onHahnemühle Artist Canvas 340 gsm - one of a kind - signed byAsbjorn Lonvig. Size: 84x 84 cm (33.1” x 33.1”). Size:84 x 84 cm (33.1” x 33.1”). No doubt, I was inspired. I even wrote a Fairy Tale about it. AsbjornLonvig's words: "Circus Clown'sBanana" is inspired by circus. 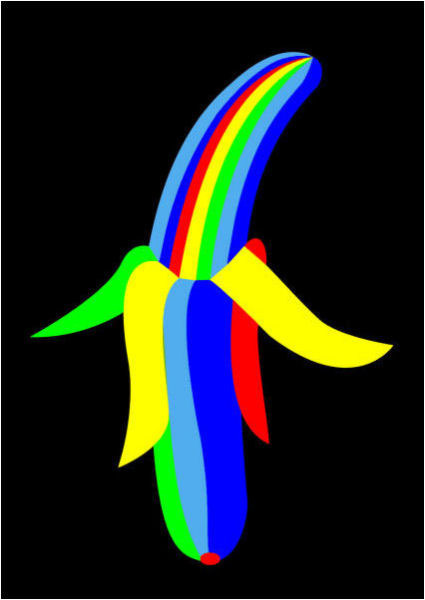 "Circus Clown's Banana"is one of 5 motifs in the Circus Series. AsbjornLonvig's words: Caminitois a small street in La Boca, a neighborhood, or barrio of theArgentine capital, Buenos Aires. It retains a strong European flavor,with many of its early settlers being from the Italian city of Genoa. bridge (a small bridge allowed peopleto cross the stream here). In1954 therail line was closed and the area where Caminito now isbecame a landfill and the neighborhood's worst eyesore. Overthefollowing three years, Argentine artist Benito QuinquelaMartín, an abandoned orphan who was adopted by a Genoneseimmigrantcouple in La Boca, painstakingly prepared the walls facing theabandoned street, applying pastel colors and, by 1960, having a stageput up at the southern end; the wooden-plank stage was replaced with anearby theater house in 1972. The artist was a personal friend ofArgentine tango composer Juan de Dios Filiberto, who created awell-known 1926 tune by the same name. 1 xinks onHahnemühle Artist Canvas 340 gsm - one of a kind - signed byAsbjorn Lonvig. If you need to know more - see FurtherInformation. 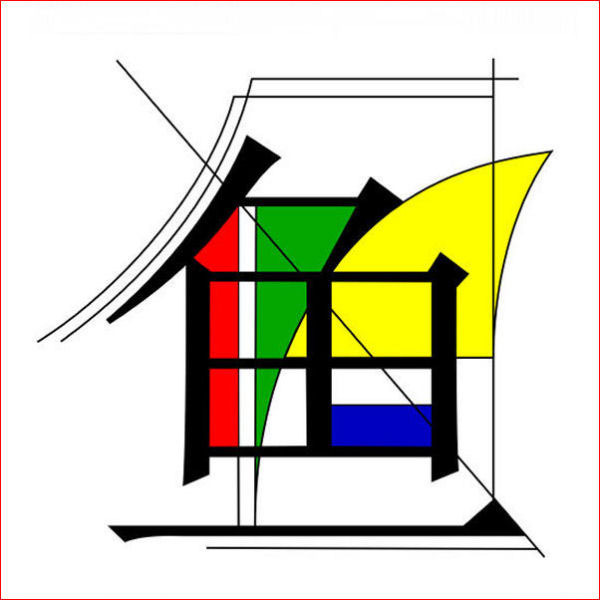 Asbjorn Lonvig's words: Colorful Simplicity Calligraphy is done on the basis of Chinese signs. The technique is to add shapes and colors to the Chinese sign. In this case the Chinese sign for FISH. Size: 84 x 84 (33.1” x33.1”). AsbjornLonvig's words: "TheCheckered Flag - red" isa motifs inspired by the exhibition Racing Cars - The ArtDimensionatAros Art Museum, Aarhus, Denmark. Little Guggenheim it has been called. ARoS is one of the largest artmuseums in northern Europe, 10 storey tall with a total of 17,000m². The museum opened on 8 April 2004 after a construction processthat started with the architects Schmidt, Hammer & Lassen winningthe design competition in 1997. The museum have three collections. It alsohave changing exhibitions. Probably the most famous of these are "The 9Spaces". The exhibition consists of nine rooms, all created by anartist working with new mediums of light, sound and video. So far onlyfour of the nine rooms have an exhibition, but more are planned in thenear future. The rooms are located in the basement, and are paintedblack, giving an art experience that is quite out of the ordinary. Aros alsofeatures a shop, café and restaurant. The nameAros is the Latin word for the city Aarhus, while the capitalizedletters of the name hint at the Latin word for art, namely ars. 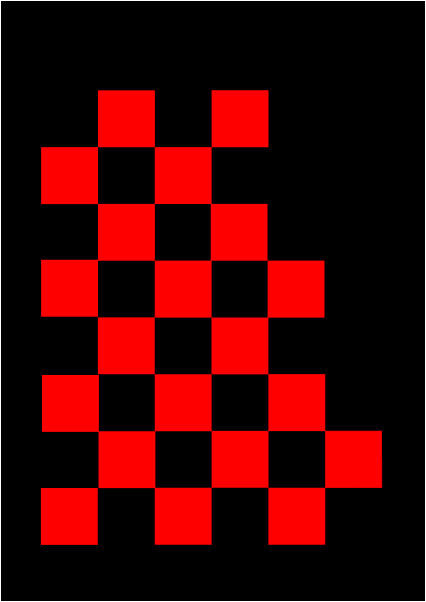 TheCheckered Flag is a combination of the well known black/whitecheckered flag used at the finish of any racing car event and the colorred. Redsybolizes sin, guilt, pain, passion, blood, and anger. Ifyou do stay cool during the exhibition that bombards your sensescontinuously - you might feel red. You might have feelings according tothe above nouns. 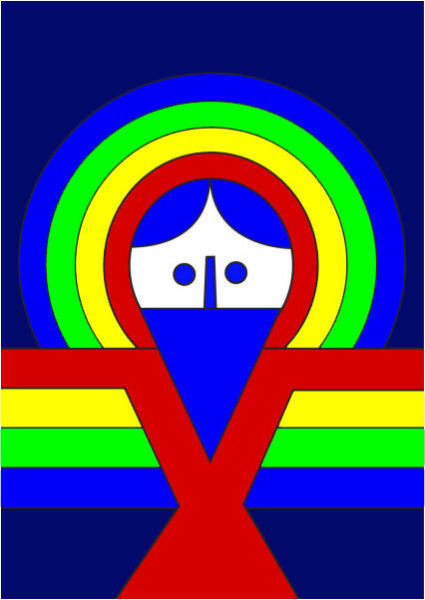 AsbjornLonvig's words: Inspiredby The Jelling Stone’s Christ. The eldest picture of Christ in theNorth. The Jelling Stone was raised by King Gorm's son, Harold Bluetooth inmemory of his parents, Queen Thyra and King Gorm celebrating hisconquest of Denmark and Norway, and his conversion of the Danes toChristianity. Yes,Blue tooth is a wireless protocol for exchanging data - connectingpeople. Named after King Harold Blue tooth, who was famous for connecting people- hisconversion of the Danes to Christianity. AsbjornLonvig's words: André-GustaveCitroën (Born February 2, 1878 and died July 3, 1935 in Paris) wasa French entrepreneur of Dutch descent. He is remembered chiefly forthe make of car named after him. André-Gustave was the fifth and last child of the Dutch Jewishdiamond merchant Levie Citroen and Mazra Kleinmann (of Warsaw, Poland).The Citroen family moved to Paris from Amsterdam in 1873 where the namechanged to Citroën. André was a graduate of the École Polytechnique in 1900.During World War I, he was responsible for mass production ofarmaments. André Citroën started converting the ammunition factory ofthe Quai de Javel in Paris. ambition was to mass produce cars (he dreamt of a thousand vehicles aday) in order to bring prices down and so to male cars more democratic. André Citroën quickly introduced a number of innovations inemployee facilities at the Javel plant, including a sick bay, a dentalsurgery and a crèche. 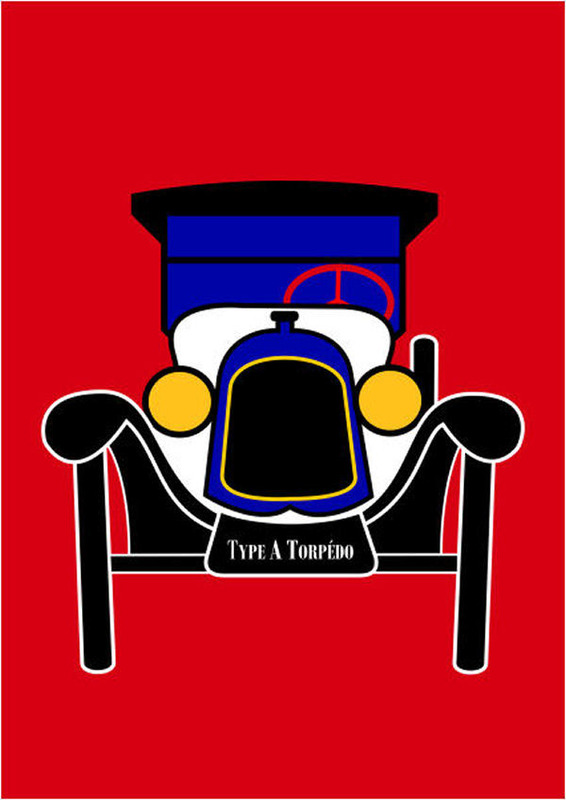 The type A, Citroën's first production car, appeared in June 1919.It was the first mass-produced car to be built in Europe and also thefirst low-cost car to be sold fully equipped: electric starter andlighting, bonnet, spare wheel and tire, etc. It was the first Frenchcar with a left-hand drive. It was also the first car to be aimedspecifically at the general public, designed to be driven by everybody. Size: 84 x 59.4 cm (33.1” x23.4”). Size:84 x 59.4 cm (33.1” x 23.4”). AsbjornLonvig's words: "Circus Clown" isinspired by circus. 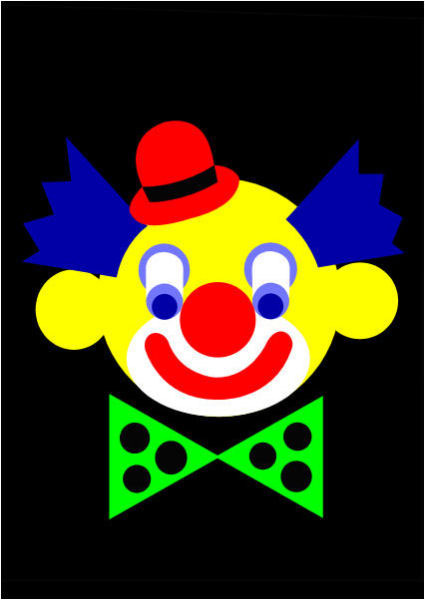 "Circus Clown" is one of 5 motifs in the CircusSeries. AsbjornLonvig's words: The portrait "Confucius" is inspiredby a sculpture, not the sculpture in Qufuthatis “the officiallikeness“ of Confucius. There are of course no pictures showing what helookedlike 500 BCE, but I found a sculpture that expressed his ideas. Confucius,551 BCE - 479 BCE, was a Chinese thinker and philosopher, whoseteachings and philosophy have deeply influenced thought and life of thefar East. 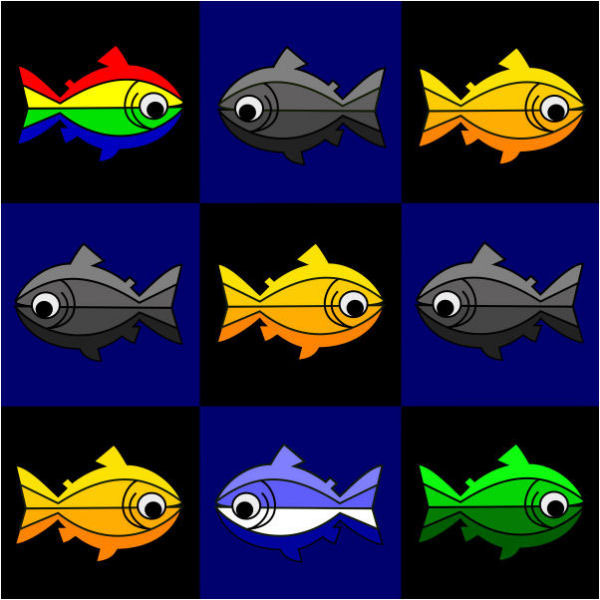 Hisphilosophy emphasized morality, correctnessof social relationships, justice and sincerity. These values gainedprominence in China over Taoismduring the Han Dynasty (206 BC–220 AD). Confucius' thoughts shortly iscalled Confucianism. It wasintroduced to Europe by the Jesuit Matteo Ricci, who Latinate his nameas "Confucius." His teachings may be found in theAnalects of Confucius, a collection of "brief aphoristic fragments",which was compiled many years after his death. “Ignorance is the night of the mind, but a night without moon andstar." "Men's natures are alike, it is their habits that carry them farapart." "Our greatest glory is not in never falling, but in getting up everytime we do." Asculpture of Confucius (to the right) was unveiled 2006bythe China Confucius Foundation in Qufu, east China’sShandong province. It was meant to be the "official likeness" ofConfucius. In my opinion this portrait/sculpture has no resemblance to Confuciusat all and never could represent his philosophy what soever. This man expresses arrogance, self insufficiency, narrow mindednessetc. He is old and he looks ill. No, it is not Confucius. That's why the point of departure for my workis another statue. A stature (to the left) that matches the way Ipercept the whole Confucius. Wikipedia words: Confucius(551 BC – 479 BC) was a Chinese thinker and social philosopher. Hisphilosophy emphasized personal and governmental morality, correctnessof social relationships, justice and sincerity. These values gainedprominence in China over other doctrines, such as Legalism or Taoismduring the Han Dynasty (206 BC – 220 AD). 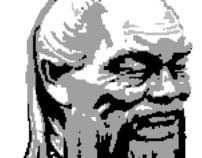 Confucius' thoughts have been developed into a system of philosophyknown as Confucianism. It was introduced to Europe by the ItalianJesuit Matteo Ricci, who was the first to Latinate the name as"Confucius". His teachings may be found in the Analects of Confucius, acollection of "brief aphoristic fragments", which was compiled manyyears after his death. For nearly 2,000 years he was thought to be the editor or author of allthe Five Classics such as the Classic of Rites (editor), and the Springand Autumn Annals (author). When he was 20 years old Confucius married a young woman who was fromthe Qiguan family of the Song state. Though he had a mild tempered wifewho loved him, he left his family to strive for his ideals. Confuciussought to revive the perfect virtue of Huaxia (Chinese civilization)and the classical properties of the Western Zhou Dynasty to build agreat, harmonious and humanistic society. 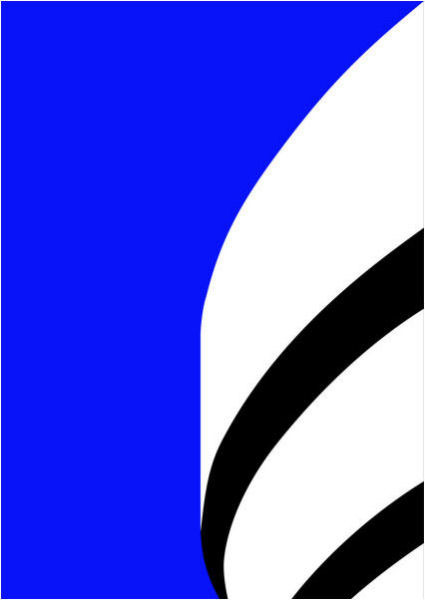 Asbjorn Lonvig's words: "MountEverest Blue" is inspired by the mystery of Mount Everest in Himalayasin Nepal, Asia. Inthe"Green" (spring?) version you meet a not very dangerous mountain. By changing colors - see the"Blue" (winter?) version - howeveryou might understand the troubles of the mountaineersthat try to climb Mount Everest. Dangers such asaltitude sickness, weather and wind. If a mountaineer climbs higher than 8.000 meters he enters the DeathZone. In the Death Zone corps are not rescued, they remain on the mountain -it is very dangerous to bring them down to sea level. Wikipedia's words: Mount Everest, Chajamlangma (Limbu), or MountChomolangma) is the world's highest mountain above sea level at 8,848meters (29,029 ft). It is located in the Himalayas in Asia. In 1856, the Great Trigonometric Survey of India established the firstpublished height of Everest, then known as Peak XV, at 29,002 ft (8,840m). The highest mountain in the world attracts well-experiencedmountaineers as well as novice climbers who are willing to paysubstantial sums to professional mountain guides to complete asuccessful climb. The mountain, while not posing substantial technical climbingdifficulty on the standard route (other eight-thousanders such as K2 orNanga Parbat are much more difficult), still has many inherent dangerssuch as altitude sickness, weather and wind. By the end of the 2008climbing season, there had been 4,102 ascents to the summit by about2,700 individuals. Climbers are a significant source of tourist revenue for Nepal, whosegovernment also requires all prospective climbers to obtain anexpensive permit, costing up to US $ 25,000 per person. By the end of 2009 Everest had claimed 216 lives, including eight whoperished during a 1996 storm high on the mountain. Conditions are so difficult in the death zone (altitudes higher than8,000 m/26,246 ft) that most corpses have been left where they fell. Some of them are visible from standard climbing routes. Gardian.co.uk's words: Ateam of Nepali mountaineers will leave Kathmandu tomorrow heading forMount Everest, the world's highest peak, where they hope to climb tomore than 8,000 meters (26, 246ft) to clear the mountain's "death zone"of tonnes of rubbish and remove the bodies of dead climbers. Though many foreign and Nepali expeditions have set out to clear partsof the mountain in the past, Namgyal Sherpa, leader of the ExtremeEverest Expedition 2010, said no one had tried to clear at that height. "This is the first time we are cleaning the death zone. It is verydifficult and dangerous," said Namgyal, who has climbed Everest seventimes. The zone earned its name because it is almost impossible to survive theharsh temperatures and the thin air of such altitudes, where there is athird as much oxygen as at sea level for more than a couple of days.Anyone who remains within the zone for longer will almost certainlyperish. AsbjornLonvig's words: 4Squares I is inspired by 4 squares in the Complete fine art works.Cathedral Square, Aarhus, Denmark - Place Charles de Gaulle(formerly Place de l'Etoile, Etoile de Chaillot) at ChampsÉlysées Boulevard and Avenue de la Grande Armée,Paris, France - Piazza del Marco, Venice Italy, and Plaza de Toros,Madrid, Spain. Square also means honest, frank, sincere, and upright. That might bethe reason why the motif soothes one's conscience. 1 x inkson HahnemühleArtist Canvas 340 gsm - one of a kind -signed by Asbjorn Lonvig. Size:84 x 59,4 cm (33.1” x 23.4”).